All cocktails had to be prosecco-based, like this creation from Stella Fiera, a grapefruit flavoured cocktail called the Adriatic Heartbeat. 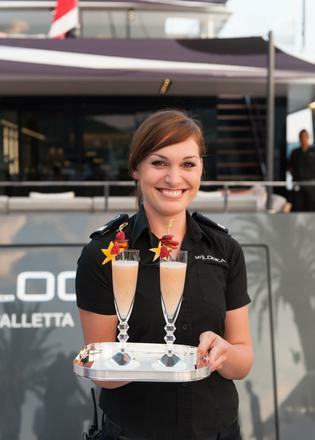 The winner was Logica, with this peach-based bellini. 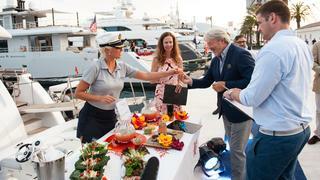 The yacht hop was opened after the cocktail competition. 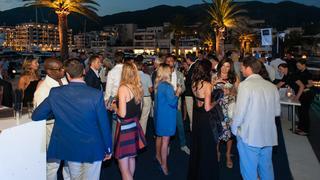 Guests at Porto Montenegro were invited to move between superyachts whilst a DJ and bar on dock entertained the crowed. 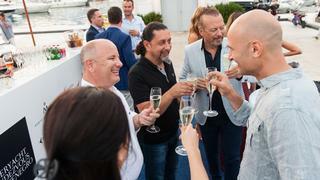 The yacht hop party continued until midnight, with many guests lingering on the dock to watch the sun set over the marina of Porto Montenegro. 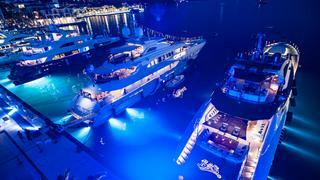 The scene from the sky as the first day of the Superyacht Rendezvous Montenegro drew to a close.